I posted earlier this week on the enormous financial needs for restoring our water resources and infrastructure within the United State alone. Our water system s have atrophied and are no longer able to provide the same level of services we have come to expect and need to maintain our current standard of living. 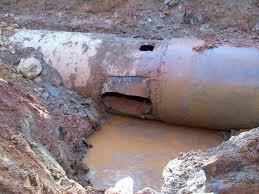 Below is a picture of what happens when a 66-inch water main breaks. 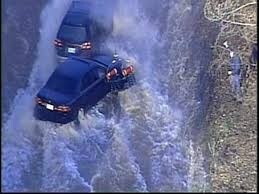 This was near my home in Potomac, MD, on River Road, which occurred several years back. That fateful morning, River Road turned into a torrential river, nearly claiming the lives of several commuters, who had to be rescued, and cost millions of dollars in emergency repairs and lost business due to extended water outages. This senario is occurring far too often as water main breaks and costly outages are becoming the norm in many communities. WASHINGTON, DC, Oct. 2, 2013 — A new campaign to inform Americans about the value of water and the challenges facing the nation’s water infrastructure was created by the Value of Water Coalition, a group comprising the leading organizations responsible for ensuring the safety, reliability and sustainability of U.S. waters. Communities across the U.S. are relying on an aging water infrastructure in need of repair or replacement. It is estimated that there is one water main break every two minutes in the United States, and that the nation must invest $1.3 trillion in repairs and upgrades over the next 25 years. Yet the majority of adults incorrectly believe our water infrastructure is in good condition. To bridge this gap, the Value of Water Campaign will leverage content-generation and social sharing. The website, www.thevalueofwater.org, serves as the campaign’s hub, aggregating the latest news and information on water-related issues. This information is then distributed through the Coalition’s Value of Water social channels. Also, new content and information about water and water infrastructure in our daily lives will be regularly distributed online through videos, infographics and Slideshare decks. This effort marks the first time such a broad coalition of water businesses and nonprofit associations has come together as a single voice. The organization unites public and private interests to address the current state of water infrastructure and the need for significant investment to keep system performance at the levels of quality and safety Americans have come to expect. The new and evolving Coalition represents city water utilities, non-profit water associations and water services and technology companies. They each work daily to ensure homes and workplaces are supplied with clean and safe water for drinking and other uses, and that after its use, this same water is cleaned and made safe again before being discharged into the environment. Current members of the Value of Water Coalition include: American Water, American Water Works Association (AWWA), Association of Metropolitan Water Agencies (AMWA), CH2M HILL, MWH Global, National Association of Clean Water Agencies (NACWA), National Association of Water Companies (NAWC), United Water, U.S. Water Alliance, Veolia Water, Water Environment Federation (WEF) and Xylem Inc.